A disabled shower from Absolute Mobility is designed to provide an accessible showering area that allows for bathing with the minimum fuss. 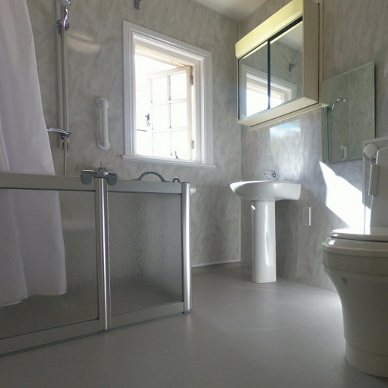 Stylish and practical, our open plan showering areas and wet rooms provide ample door free access for wheelchairs. Our shower cubicle fits conveniently into any sized space and can feature half height shower doors to allow for carer assistance. 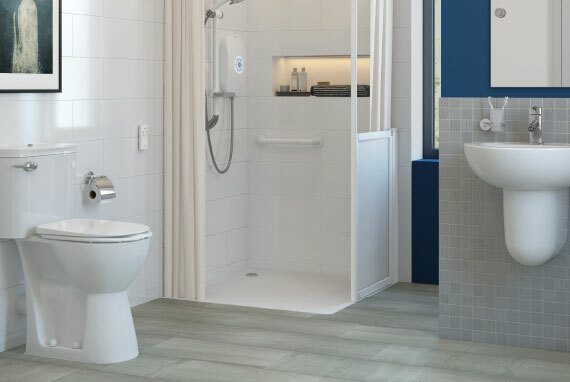 Your safety is a priority so we select anti-slip, anti-bacterial shower trays, which can support the weight of a wheelchair, and incorporate shower seats and grab rails to suit. Whether you wish to update existing bathing facilities or install a new bathroom in a garage conversion, we design, supply and install versatile showering spaces that will meet your needs now and into the future. Throughout the process, our team of friendly advisors are on hand to provide guidance and advice on choosing the right options for your needs. Please complete the form below and we'll pop a copy of our brochure in the post to you. Every aspect of your new disabled shower is chosen to make bathing easier, safer and more comfortable. 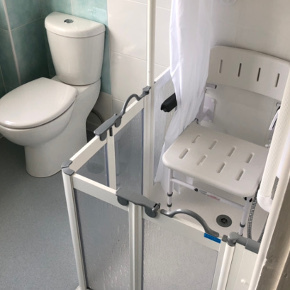 For those who need assistance in the shower, our half height shower screens allow carers access without getting soaked. These screens can be easily folded and stored out of the way when not in use. 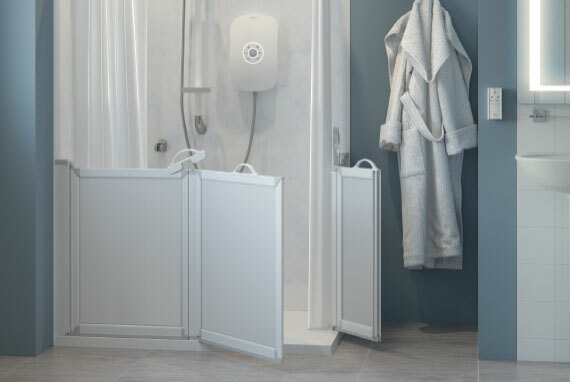 Our range of shower trays allow for step free access into the shower for those with mobility issues. 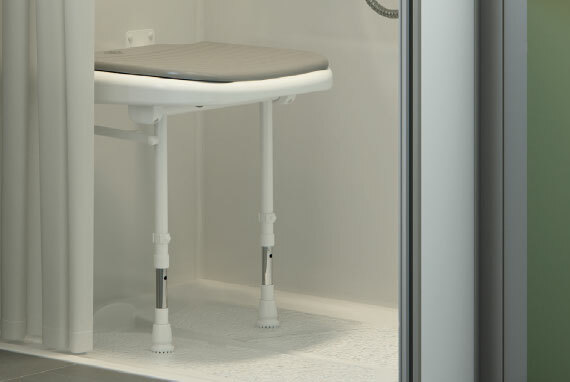 We can even supply a rotating shower tray to help wheelchair users into and out of the shower. If towel drying is a problem, then a warm air body drier is the solution. Easily mounted to the wall of your shower area, the warm air will gently dry you without the need for a towel. Seats, grab rails and thermostatic shower controls are added to help create a space you feel confident and safe using. 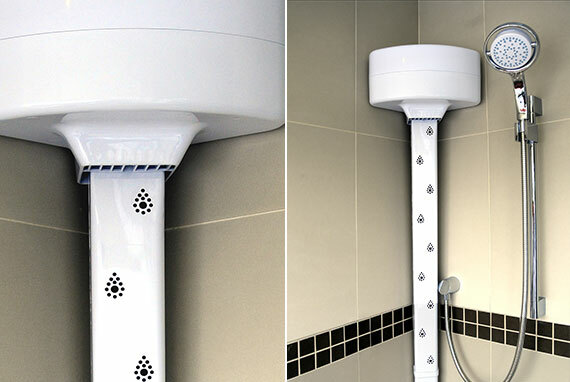 Take a look at how we've created disabled showers to meet the various needs of our customers. Difficulties with using the bath because of arthritis and deteriorating eye sight, were solved with a new easy access shower. Installing a disabled shower, and other bathroom adaptations, enabled a motor neurone sufferer to remain longer in his own home.